Integrating OOH & Mobile Marketing - West Bend, Menomonee Falls, Mequon | Murphy Media Group, Inc.
October 29th, 2015 Murphy Media Group, Inc. In this day and age, people have access to unlimited amounts of information in the palm of their hands. Nearly two-thirds of Americans own a smartphone. In the advertising industry, we’re always looking for strategic ways to leverage awareness and ultimately drive sales. In any advertising medium, we’re sold by estimated impressions to figure out delivery of a program – the key word here being estimates. In print advertising, with higher circulation, you’d expect a greater ROI. The same goes for Radio, Television, and Online advertising. There is just one problem – how engaged is the audience? Sure, interesting content helps, but, how many people tune out or fast-forward commercials, skip over the ad pages, or have ad-blockers installed on their computers? The ubiquity of OOH advertising allows your brand to be virtually anywhere. You can’t turn OOH off, fast-forward, or install ad-blockers in the real world. 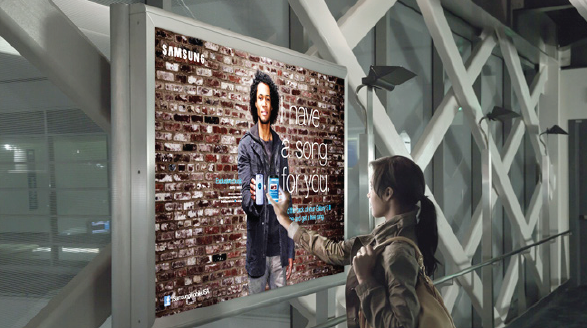 Combining the unavoidability of OOH and Mobile Marketing is a growing trend. In combining the two mediums, we’re able to effectively track how engaged consumers are while building awareness. Consumers can scan a QR code on a street level poster or large wallscape, hold your phone up to a Transit Shelter poster equipped with a Near Field Communication (NFC) chip, or drive or walk within a designated proximity of a display that is geo-fenced. With this, we’re able to track impact of the ad by driving traffic to websites and hopeful induce a sale – we’re able to effectively track the return on each impression.